The Photochromic lens adjusts from dark to clear in about 35 seconds, and changes from clear to dark in about 8 seconds. Thus, The Smart Lens Safety Glasses can be worn both inside and outside without having to constantly change from one set of eyewear to another. • Lenses change from clear to dark and back depending on light conditions. •complement the wrapped protection. Meets ANSI Z89.1 and CSA Z94.3 standards. •DX™ Coating resists fogging, scratching, static and chemical attack. 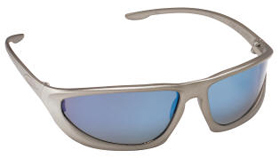 •A brushed nickel frame and sport-styled lens add adrenaline to the Metaliks™ eyewear line. •Metaliks™ Sport has formable, rubber tipped temples and a soft nosebridge to complement the wrapped protection. 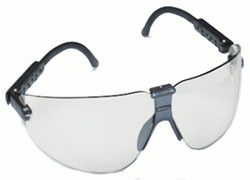 AOSafety offers a variety of eyewear styles. Choose from styles that range from sporty to over-the-glasses, and lens tints that accommodate changing light or background conditions. 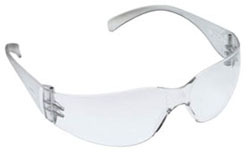 •The glasses are designed to protect the eyes against discharged debris and meet the latest ANSI Standard Z87.1-1989. •Translucent grey frame with clear soft form fitting brow. 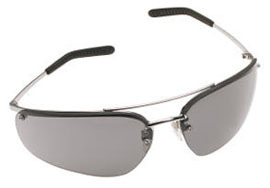 •7.5 Base curve lens provides maximum coverage. •DX™ Anti-Fog hard coating against fogging. •ANSI Z89.1 certified, CSA Z94.3 standards. 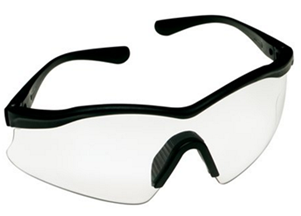 ANSI Z87.1-2003 rates safety glasses for excellent impact protection. •A lanyard and microfiber storage bag included. •So light, it's almost like it's not there. Less than 1 oz. •Meets ANSI Z87.1-2003 standards for high impact. •Vertically-oriented polarizers in the lenses block reflective light. •Lightweight, design for Added Comfort. •Microfiber bag & Lanyard included.